Understanding conflict is important for both instrumental and intrinsic reasons in formulating an effective state policy to address it. Instrumentally, we need to understand the processes by which violent conflict breaks out because destructive conflict have impact on socio- political, cultural, ethnic and economic integrity of the state. Moreover, the physical, economic, and psychological insecurity that accompanies outbreaks of violence, and that lingers long thereafter, negatively impacts on freedom and choice, the very basis of "sense of dignity" itself . Intrinsically, the human suffering - that is a product of violence (and other factors) is important to be understood in a broader perspective. First to mention , is simply that the last decade has seen an increase in conflict and political violence in the state of Jammu and Kashmir. But deepening human misery comes not only from more war- like situation and violence. It also comes from the manner in which many oppressive actors – whether political leaders, governments or non-state armed groups – are pursuing military and political objectives in the State. Too often these political forces gain from human deprivation. Sometimes they deliberately inflict pain on civilians, attacking, forcibly displacing, abduction or otherwise controlling populations. Most of the times, they use heavy-handed military or political tactics without attention to the enormous suffering they are causing to a common citizen. This instrumentalisation or disregard of civilian harm is clearly in evidence in some of today’s worst conflicts, from Yemen to Syria to South Sudan and Jammu and Kashmir is no exception to that. It is difficult to generalise about reasons for this trend – in other words, to identify the political currents that underpin the widespread use of tactics that target or otherwise harm civilians. The conflicts are diverse. As in Jammu and Kashmir, since few years we have seen the unabated use of pellet guns to counter protests by oppressive forces. Indeed, it is debatable whether these forces are more likely to resort to the use of such tactics today or whether their use is simply more prevalent because conflict has increased. Our political leadership must understand that in comparison to progress made in medicine, education, and financial access, progress in peace-building in the state has been on halt. In contrary to popular assumption – unemployment and poverty alone rarely dictate whether or not a young person will engage in conflict. Instead, it needs to be understood in realistic and true perspective that young people are driven to take up arms by legitimate frustrations by experiencing injustice through discrimination, marginalization, corruption ,abuse, unabated innocent killings and above all a sense of oppression. Good governance goes beyond better government. It is the healthy interaction between government, youth, civil society and other stakeholders of the state that truly can create a roadmap towards better resolution. We can't never undermine the role of people who always carry with the thought of true representation of the sentiment of people in a conflicted state . We must perhaps even pressure – governments to be more open and inclusive, especially of the young people who are the future political and economic engines of their nation. Facing vulnerability and speaking out for people with true intention comes out to be a challenge though. However, honesty develops character and builds credibility and trust, which are the foundation to evoke confidence and respect from those around you, and in the case of political leaders, teammates and constituents. The word integrity is defined as ‘the adherence to moral and ethical principles; the soundness of moral character.’ It is a synonym for honesty and uprightness, and is a vital characteristic for those in political leadership. Political leaders who possess integrity can be trusted because he or she never plays with his/her inner values, even when it might benefit them to do so. A leader must have the trust of followers. This requires the highest standard of integrity. Flexibility for a political leader is about understanding the give-and-take aspects of politics, and the ability to find the common ground. Good politicians listen carefully to all sides, to not only hear their arguments but to especially learn what it will take on behalf of all parties involved to reach a consensus. This characteristic allows political leaders to recognize setbacks and criticism, to learn from them and move forward. Knowledge and intellect is crucial. Being a Ministerial candidate, he/she should possess knowledge about our system, constitution, laws etc. A leader’s behavior flows from three main sources- attitude, desire and knowledge. A leader must get aware that with power comes responsibility and that responsibility has to be executed through the true representation of the sentiments of the people. Great political leaders have all of the above qualities - and more. Each aspires to respect different views, analyze problems, and identify the best solutions - not based on loyalty to their political gains, but rather based on what is good and right and in the best interest of the state as a whole. So the first step is getting the right people in the room. 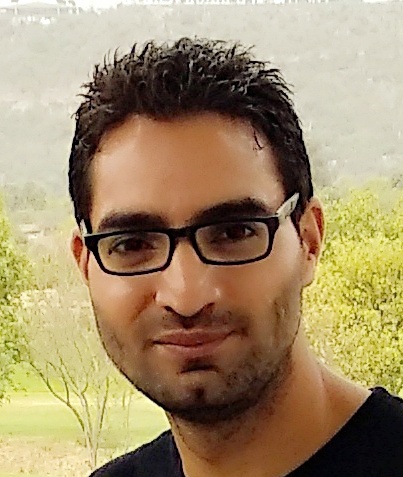 Shah Faesal, the first IAS Topper in 2010 from state recently resigned from the service by citing some crucial reasons for his resignation. By citing those reasons of resignation, considering his interviews nowadays with media and sensing his scholarly intellectual potential, I hope he would be able to disrupt the contemporary adulterated politics prevailing in the Jammu & Kashmir State. I hope his sensible thoughts would guide him in ensuring the politics of justice, bravery and positivity - politics of humanity and honesty that could represent the sentiments of the community in more positive way.